It's Over for this year! March 15-17, 2019. Next year's convention is scheduled for March 20-22, 2020. 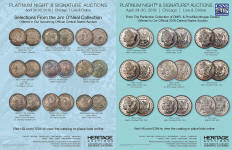 Oldest and biggest annual coin show in the Pacific Northwest. 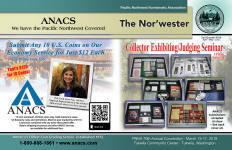 85 local, regional and national numismatic dealer booths. A 2019 dealer list and map will be posted at the show. The 2019 dealer list is also available as a separate HTML webpage. ANACS (grading service) will be at the show again in 2019 - please visit them on the bourse floor. Note: ANACS accepts submissions but a grader is not present at PNNA shows. Public show hours: Friday Noon - 7:00 PM, Saturday 10 AM - 6 PM, Sunday 10 AM - 4 PM. Admission $2.00 per day, $5.00 for all three days. Children 12 and under are free. "Early Bird" admission (9:00 AM Fri/Sat/Sun) $30.00. Plenty of free off-street parking. – See the driving directions. Located just 10 minutes from SeaTac Airport and 20 minutes from downtown Seattle. Free sample copies of The Nor'wester will be available. See 2019 Spring Convention special edition of The Nor'wester online. Educational Numismatic Theater presentations and meetings will be held on Saturday. Continuing Education Volunteers Wanted - See the education committee page. Young Numismatist (YN) treasure hunt will be offered on Saturday and Sunday, as part of youth and family activities. See Young Numismatist (YN) program information. Boy and Girl Scout programs will be offered again in 2019 – See scouting page. "Squished" or elongated cents will be available as souvenirs, thanks to the PNNA's popular machine! See: 2019 convention report | 2019 collector exhibit report. Dealers - See PNNA Tukwila bourse application (2019). 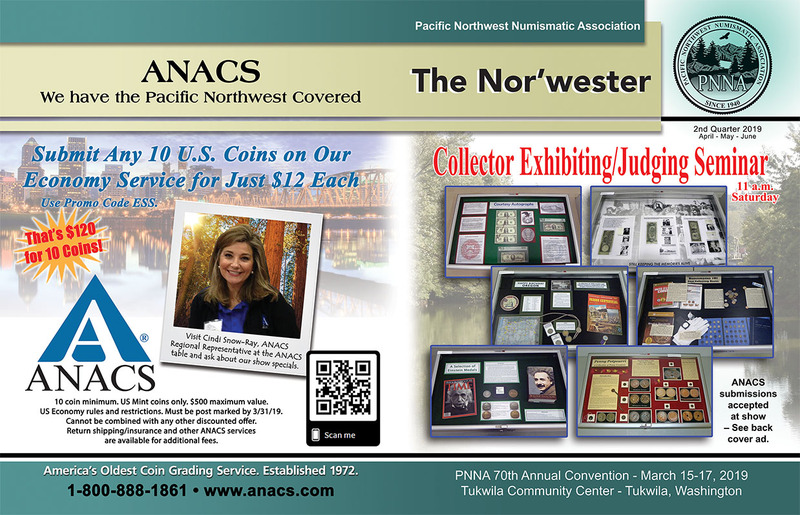 Welcome to the 70th annual Pacific Northwest Numismatic Association Spring Convention and Coin Show! 70 years is quite the milestone.This year’s show hours are: Friday, March 15, noon until 7:00 p.m.; Saturday, March 16, 10:00 a.m. until 6:00 p.m.; and Sunday, March 17, 10:00 a.m. until 4:00 p.m. Don’t forget that the 17th is St. Patrick’s Day! Show address: Tukwila Community Center, 12424 42nd Ave. So., Tukwila, WA. Spring is just around the corner. That means it is time for the oldest and largest annual coin show in the Pacific Northwest: The 70th annual Pacific Northwest Numismatic Association Spring Convention and Coin Show! This year’s show is set for March 15-17. 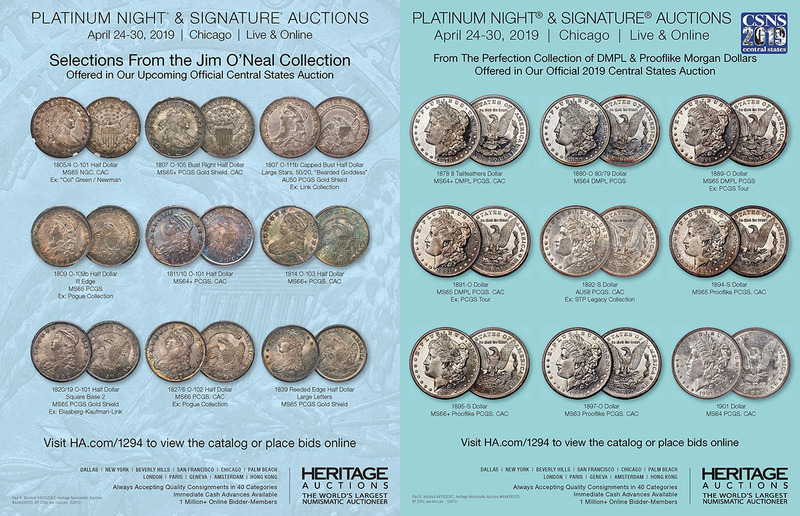 Dozens of your favorite local, regional and national dealers will cover 85 tables with a wide selection of numismatic and exonumia material in all price ranges. There is sure to be something to excite everybody’s interest. There will be U.S. coins ranging from colonial coppers to gold double eagles and modern commemoratives. Classic Greek coins and Roman coins of the Caesars will be well represented, along with coins of all other ancient civilizations. Foreign coin enthusiasts will find dealers specializing in medieval coins, modern world coins, and everything in between. Currency collectors will find examples of colonial paper and the entire range of U.S. currency, including currency from the Confederate States of America, as well as fascinating and colorful foreign bank notes. Beautiful and historic medals and interesting tokens will be on display and available for sale. People will be buying and selling all kinds of bullion throughout the show. You can also display your collection in a judged collector exhibit, or enjoy the displays of others. We are working on a lineup of free numismatic theater presentations for Saturday. The annual convention brings together many of our members. This is a great opportunity for our existing members to demonstrate the vitality of our hobby to the newest members of your local club. I encourage you to bring someone as your guest to this event. I am looking for volunteers to help at the front desk. The job is simply to monitor the people going in and out of the door and answer some very general questions. In return for your one hour of time, you will receive admission for the day to the show. Email kcharboneau58@comcast.net with the day you would like to help. I will assign you a time on a first come first-serve basis and notify you by return email. The PNNA annual meeting on Saturday is open to all, and your comments and suggestions on how the PNNA can best promote our wonderful hobby are most welcome. We’re happy to see you -- enjoy the show! Hotel info - Marriott Courtyard Seattle Sea-Tac Area, Address: 16038 West Valley Highway, Tukwila, WA 98188. Information for PNNA group rate: Available Tuesday, March 12 to Tuesday, March 19. Last Day to Book: Monday, February 25. Rate: 99.00 USD per night. Book your group rate for PNNA Spring Convention 2019. Bourse Chairman: Scott Loos (link to PNNA officers page).